Thanks to Coach Davis for these additional pictures of Mary who died recently. It's finally here. At the regional meet, the top five athletes in each event and the next seven nationally by time, will qualify for the national meet. In addition to the 13 listed below, Katie Guevel has provisonally qualified in the heptathlon with 5158 points and is ranked 39th in the NCAA). (regional ranking in parentheses) For the women, Emily Anderson (5) leads the way with a 4:17.02 1500 and joining her is Meghan Burns (39) with her 4:30. In the steeple, frosh Betsy Graney (18) and Emily Arena (35) have 10:41 and 10:54 respectively while Allie Lewis (38) has run a 2:09.68 in the 800. Field eventers Abby Lemon (19) has a 53.34 in the hammer and Carly Morse (35) is going with her 13.81m in the shot put while Cam Shriver (10) has qualified in the high jump with a 2.10m and Nicole Kazuba (5) has made it in the pole vault. Rob Dennis (36) and Harry Miller (5)are both going in the steeplechase with a 9:08 and a 8:49. Ian Fitzgerald (24, 9) has a 3:45.74 in the 15oo and a 13:55 5K. Joining Ian will be Patterson Wilhelm (32) with his 14:16.80 and Lynn Morelli (40) with a 16:46. The meet will be on Friday and Saturday at FSU in Tallahassee and the schedule is here. We will have more about the meet later this week, but for now, the live results can be found here. Ian Fitzgerald talks about what he terms his surprising win in the IC4A 1500, his thoughts on the upcoming regional 5K and his post collegiate plans. Click here to hear the podcast (will take 30 seconds to load). Thanks to Coach Fritz for the great camera work. Up top is Nicole Kazuba's ECAC winning jump in the pole vault and below is the entire 1500 that was won by Ian Fitzgerald. Senior Ian Fitzgerald (Glenshaw, Pa.) started the day for W&M by winning the 1,500m with a furious sprint down the home stretch, and timed 3:46.26, only five hundredths of a second ahead of the runner-up. It is Fitzgerald’s first individual IC4A title, but second overall as he ran the mile leg of the championship distance medley relay team at the 2007 indoor championships. More Sophomore Emily Anderson (Golf, Ill.) cruised to one-second victory in the 3,000m run, timing 9:33.32 for her second ECAC gold medal. Junior Lynn Morelli (Philadelphia, Pa.) earned All-East honors with her sixth-place finish with a time of 9:48.91. More Pictures and video will be coming in the next few days. Look for live results (as well as the schedule) here starting tomorrow. 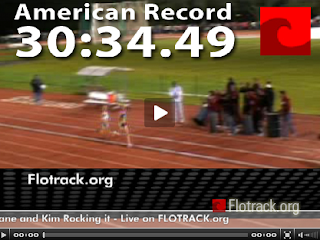 Emily Anderson returned to competition in the 1500 and qualified for the NCAA regional meet as well as provisionally for the US Olympic Trials. Her time of 4:17.02 set a new school record by 2 seconds besting All-American Emily Furia and is now the 6th fastest time among NCAA runners this spring. Joining her in NCAA regional qualifying was Nicole Kazuba in the pole vault and Ian Fitzgerald who won by a minute in the 5K. Qualifying for the IC4A/ECAC meet was Bryce Wilk (steeple), Brian Skldowski and Alex Heacock (15oo), Emily Jeremiah (pole vault), Kelly Elroy (800) and Katie Guevel (100 m h). Andrew Mearns also nabbed a trip to the USA Track and Field Junior Championships. Here are all the pictures from the 3 5Ks (still waiting on the 10ks). They come from trackandfieldphoto.com. If you click here, it will take you to a site that has every outdoor result up to 2005. 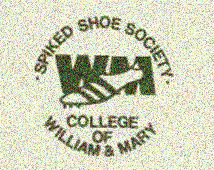 You can see the entire meet results or if you plug in a name and "College of William and Mary," you can see individual times. 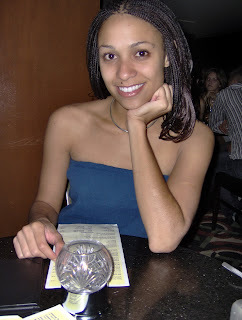 So for example, I looked myself up from outdoors my senior year (way back in the pre-history - 1986) and saw my place, time and even points for the meet. So if you are a statistics nut, you should have a lot of fun with this site. 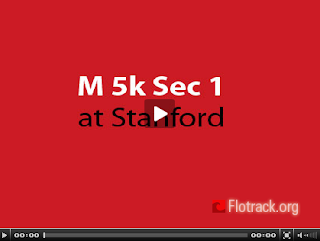 Flotrack will show the "big" races live tonight at the Stanford meet which you can see here. They do not define "big," but suffice it to say that Moran and Newberry's races will be streamed live (see time schedule). I will have links to recorded races for the other W&M runners up here on Monday morning (see two stories below for who is running). 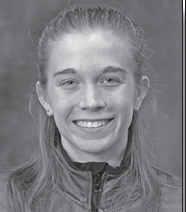 Freshman Betsy Graney won the college division race at the Penn Relays with a career-fast 10:41.25 (which you can see in its entirety by clicking here), breaking the freshman record she set four weeks ago and ranking her 4th on the all-time list. Click here to listen as Graney discusses her experiences as a first-time steeple chaser and how much she enjoys being a part of the William & Mary track team.